With 3,500 sq. ft. of living space, including a lounge with a ceiling towering 25ft above, you would expect Langtry House to dwarf its neighbouring buildings - yet this magnificent space is just 8ft tall! How is this possible? Read on to find out. Hampstead Heath in London provides the location of this ground­bre­aking (literally!) structure which, just a few years ago, played host to an unappealing row of lock-up storage facilities. Planning permission was granted for these structures to be demolished to make way for a new family home but, due to building regulations, the home was not permitted to rise any higher than the buildings it was designed to replace. 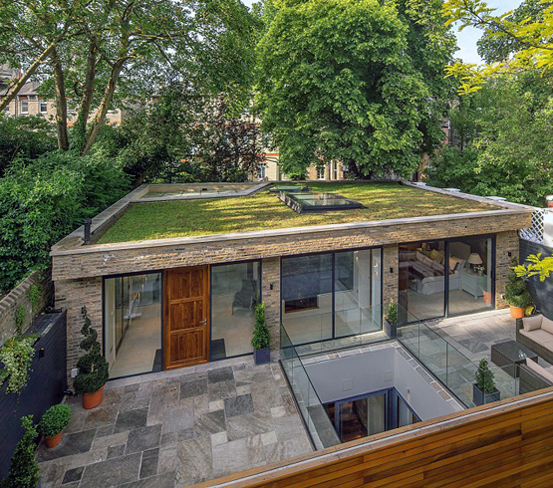 This left architects with a puzzling challenge which was cleverly solved by building underground with great emphasis being placed on making the basement watertight, creating one of London’s most innovative and well-disguised homes. There are three stunning bedrooms of generous size plus three bathrooms - one for each guest! The house is now on the market and could be yours today - assuming you have the whopping £4.5m asking price! The house has been variously described as ‘deceptively spacious’, ‘a breathtaking experience’, ‘masterfully conceived’, and ‘beautifully engineered’. A unique modern home, Langtry House is a seriously impressive structure. Although clearly a major engineering project, the development of Langtry House echoes a wider trend for building below ground, as space becomes ever more valuable. Basement conversions offer a cost-effective method of creating extra living space and adding to the value of your property. 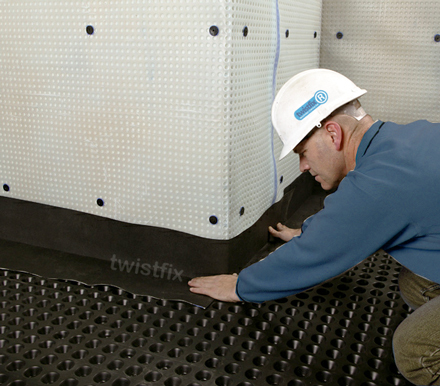 One of the most important consi­dera­tions to make when building below ground is basement waterproofing and damp proofing and this is one of our key areas of expertise at Twistfix. 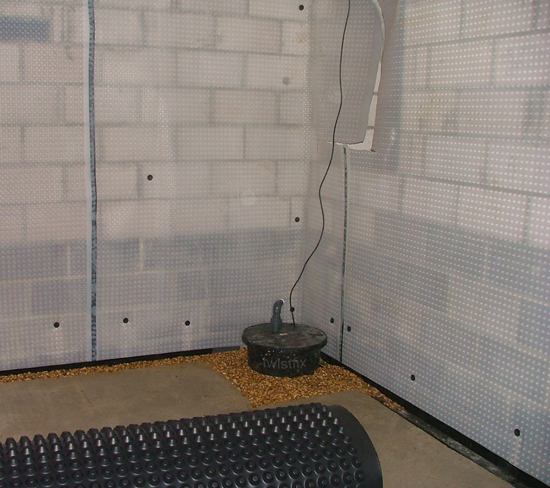 As well as providing the highly-popular Registered Contractor scheme, linking professionals with the public, we also supply a comprehensive collection of basement waterproofing products including waterproofing membrane (also known as tanking membrane). 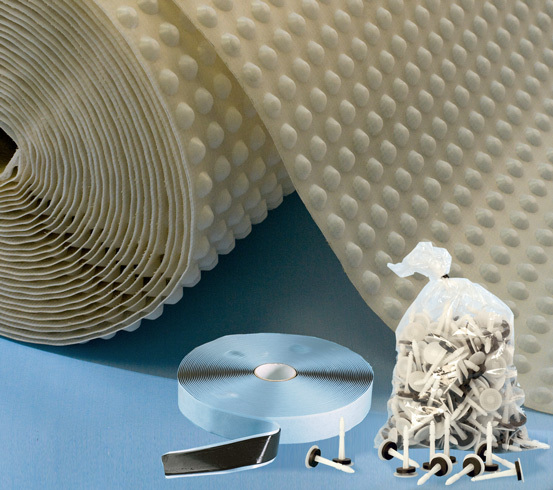 Whatever the size of your project, Twistfix can offer the very best solution, delivering materials and services of absolutely professional quality unrivalled anywhere else on the market. 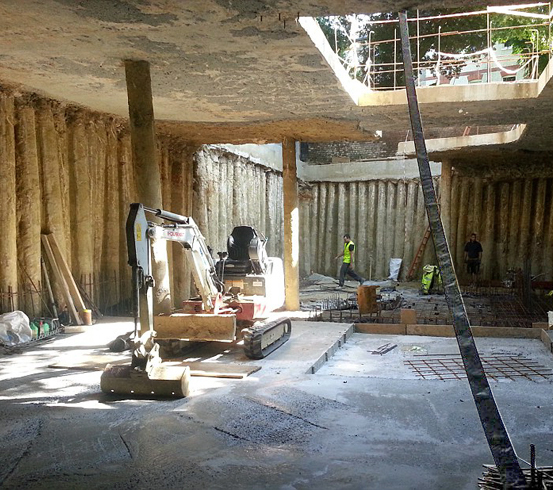 Find out more about basement waterproofing now by browsing our product range, calling our skilled technical team and checking out our news archive.